They type of garage doors you choose for your home will have a big impact on the overall style and look of your house. Garage doors come in two basic categories: single panel and sectional panel. As you decide which one is the best option for your home, United Garage Door Repair of North Las Vegas is here to share some information about them. Single panel garage doors were used much more many years ago. They are a single, solid slab that slides up into the space above your car when they are opened. They usually operate differently than sectional garage doors in that they are attached to a strong hinge system that is attached to the jamb. Occasionally, they are hung using similar hardware to the sectional doors, but most of them are not. Each of these garage doors come with pros and cons just like anything else. 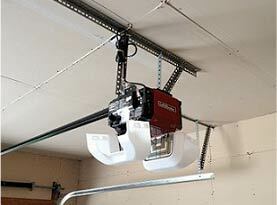 Following are the different categories you should think about when choosing a garage door. –	Cost: Single panel doors are significantly lower is cost than sectional garage doors. 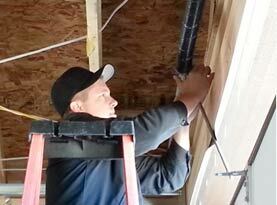 They are smaller and have less parts required for hanging which makes them less expensive to buy and repair. –	Design Variety: Because of the many panels on sectional garage doors as opposed to single panel garage doors, there is more variety and variation in the single panel garage door because they are a giant slab. –	Safety: The single panel garage door doesn’t meet the same safety standards that the sectional panel door does. This is perhaps the biggest reason many homeowners have abandoned them. 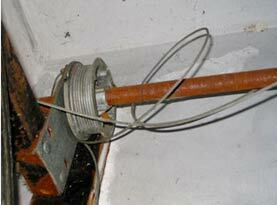 When things goes south with a single panel door, they can pose a serious threat with the tension springs they use. –	Space: If you don’t have a long driveway, space can be an issue with single panel garage doors. They swing out into the driveway to open and close, so if you don’t have enough space, go with sectional garage doors. –	Weather Durability: Sectional panel garage doors are known to stand up to severe weather better than single panel. When they are damaged due to weather, you can only repair a section of the door rather than the entire thing with a single panel garage door. Even though many people would prefer to have a sectional panel garage door, some homeowners are looking for ways to enhance an older home. The single panel garage door has a vintage look that you can’t achieve with a sectional panel garage door. However, most modern homes choose sectional panel because they are safer and don’t need as much space to operate. No matter what type of garage door you choose for your home, you can count on the training and experience of the garage door experts at United Garage Door Service of North Las Vegas to offer professional installation and maintenance services for you. Call us today! 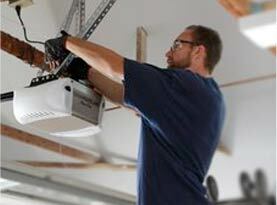 Should You Replace Both Garage Door Springs at the Same Time in Seven Hills, NV?